The main part of the PR formula is your vote. 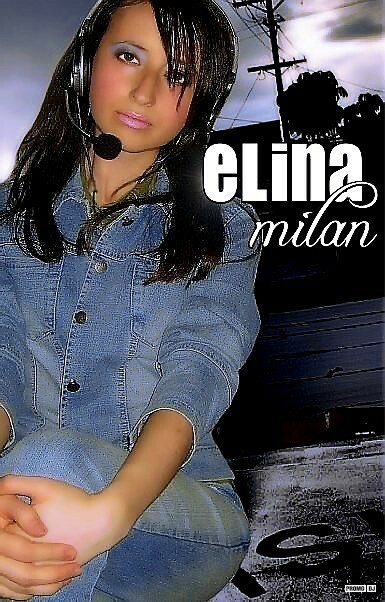 For Elina Milán to get your vote, click on the arrow near the number. You can note that you are a fan by clicking on a star — in this case Elina Milán receive a bóigger PR. Additionally, you can also add them to friends and observe in the section Wazzup every action of Elina Milán. Vote now! The Best Trance Vocalists of 2012! Превью трека. 5 августа - релиз на Camouflage Records. Треки и ремиксы 2010 - 2012 г.
Elina Milan is a songwriter, vocalist and co-writer of electronic music tracks. Having come from a musical background, she felt a special connection with the world of music from an early age. Inspired by pop songs of the 90's, she started writing lyrics and her own melodies. But because she was a straight-A student she didn't have free time to think about it seriously. In 2008 a friend gave her a mix CD from one of the World's Biggest Dance Music Festivals: Trance Energy. This music changed her life forever. And finally, it helped her to realize that the time has come to start doing what she really has a passion for. That mix inspired her to start building her own studio. "And it was the only one reason why I went to work in a boring office. Working there 3 months I managed to save up enough money to buy a Professional Audio Interface and Studio Mic" - she laughs. Focusing on collaboration with EDM producers, Elina first began experimenting with trance music. After that, she was signed by 2 record labels and released a few tracks. Also, she's been making all kinds of DJ jingles for a long time. Her ultimate dream as a music artist is to take her rightful place in the EDM scence and collaborate with some of the world's best DJs/Producers. Elina is currently working on new material and recording vocal for the next releases. Лэйблы: Emona Records, Parametrica Records, Compressor…и др. Привет!!! Я слежу за твоим творчеством постоянно) Пусть и не пишу на стене и прочее... Редко комментирую(свои дела... ищу работу сейчас и прочее.. =) ).. Но я всегда на связи!!! PR + 777 )) Отличные работы!Удачи и успехов в творчестве! С Днем Рождения Элина! Здоровья, Счастья, Удачи Тебе и Твоим Близким людям!!! Привет! Я из Казахстана, но живу в Ростове! Хорошие работы!